The sound of a Balinese geko in Sanur. Recorded October 2004. SoundCloud. 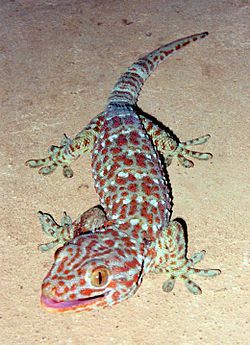 Nonnatives - Tokay Gecko. Florida Fish and Wildlife Conservation Commission.